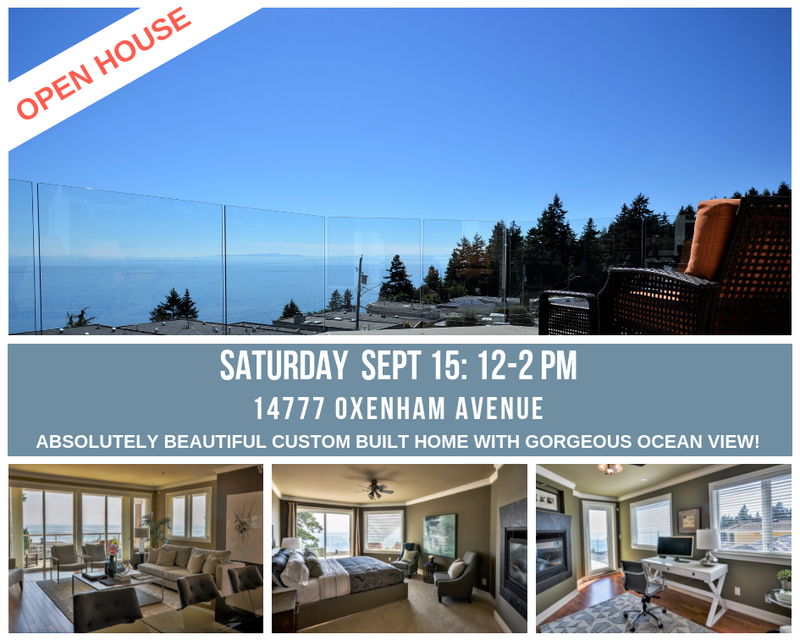 Beautiful CUSTOM BUILT home with spectacular views on upper White Rock hillside. Easy access in and out and located in desirable SEMIAHMOO school catchment. Well thought out layout includes wide open spaces and over-sized windows to maximize views from kitchen, living room, master bedroom and more. Watch amazing sunsets from your OCEAN VIEW OFFICE. Enjoy AIR CONDITIONING, hardwood floors, double-sided fireplace and your own theatre/media room. Relax in your private backyard in your new Jacuzzi hot tub! Enjoy family time or evenings with friends while barbecuing on your over-sized private deck. LARGE OPEN KITCHEN with beautiful finishing. LEGAL SUITE! This quality home was built to last. Contact realtor for full package.